How did this passive display adapter do the job that should have needed an active adapter? 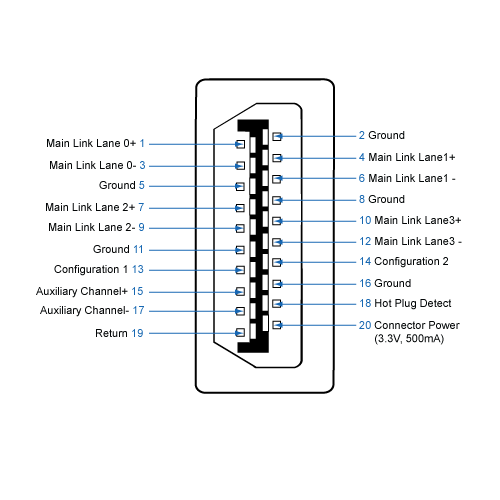 Our 7040 minitower has two standard (not ++) DisplayPorts. Our monitor is dvi-D (dual-link). Dell supplied the tower with a DisplayPort to dvi adapter. The advice received was that this adapter wouldn't work because it was passive. However, hooked it up and the dvi-D (dual-link) monitor displayed perfectly. Would anyone know why this adapter succeeded (when apparently it shouldn't have)? Thanks SpeedStep - You're absolutely right. 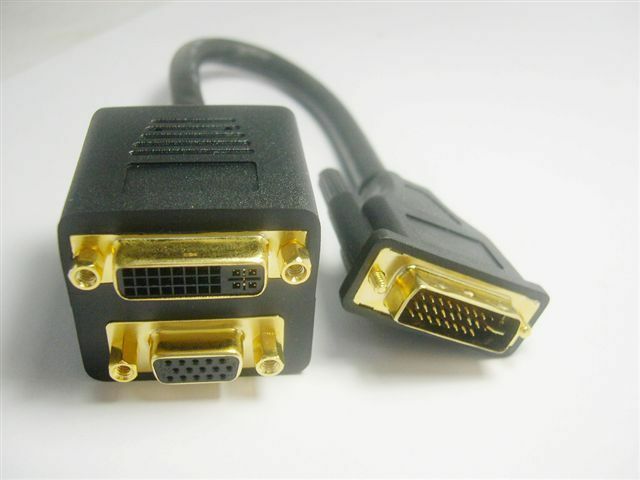 Further research identified the supplied adapter and cable as a TrippLite DisplayPort 1.2 to DVI Active Adapter Cable (P581-003-V2). 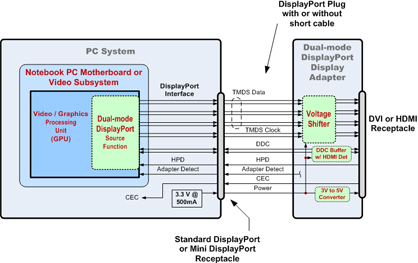 Do you know whether the DisplayPorts on a 2016 Optiplex mini tower (i3-6100 igp) are single mode or dual mode ? To be more accurate, I should've asked if the DisplayPorts are single-mode or multi-mode. DisplayPort (multi-mode) = Works with both passive adapters and active adapters. Would you happen to know which mode of Displayport is used in this Optiplex? DisplayPort interface typically display the "DP" logo next to the port itself on the outer casing. 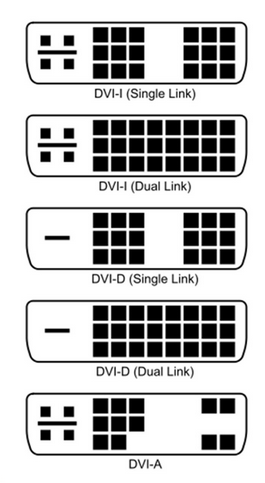 A "DP++" logo indicates that your computer supports multi-mode DisplayPort for use with different data types. DP++" logo also means that Display port to HDMI has the optional audio channel. Since I do not see that logo I would say NO.